Mobile Action Command (MAC) by Matchbox/Lesney . This is a nearly forgotten line from the mid 70’s that pre-dates nearly every 3 3/4″ line, although they are a touch smaller than true 3 3/4″ (10 cm) figures [Takara Microman (1974) probably gets the nod as the first true 3 3/4″ line]. This is the 1st gen figure which was a bit wonky. They were later redesigned into a slightly larger, more realistic “2nd gen” figure but the newer body style was disproportionately larger than their impressively large selection of vehicles and playsets. Is it okay to say I love you Geo? 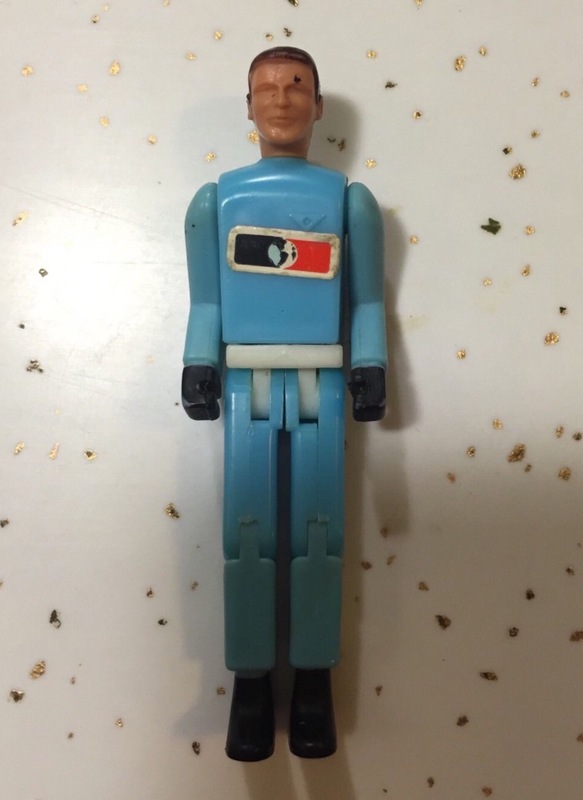 They were also sold as “Action Jack”, I think, well into the ’80s. I don’t remember seeing any science fiction ones, but they did all sorts of the things. Sold in little matchbox looking boxes, rather than on a card, iirc. Cool! I really like these little dudes.